While I covered nearly all concepts of gameplay in the Beta preview posts, I will go over a few more things here. 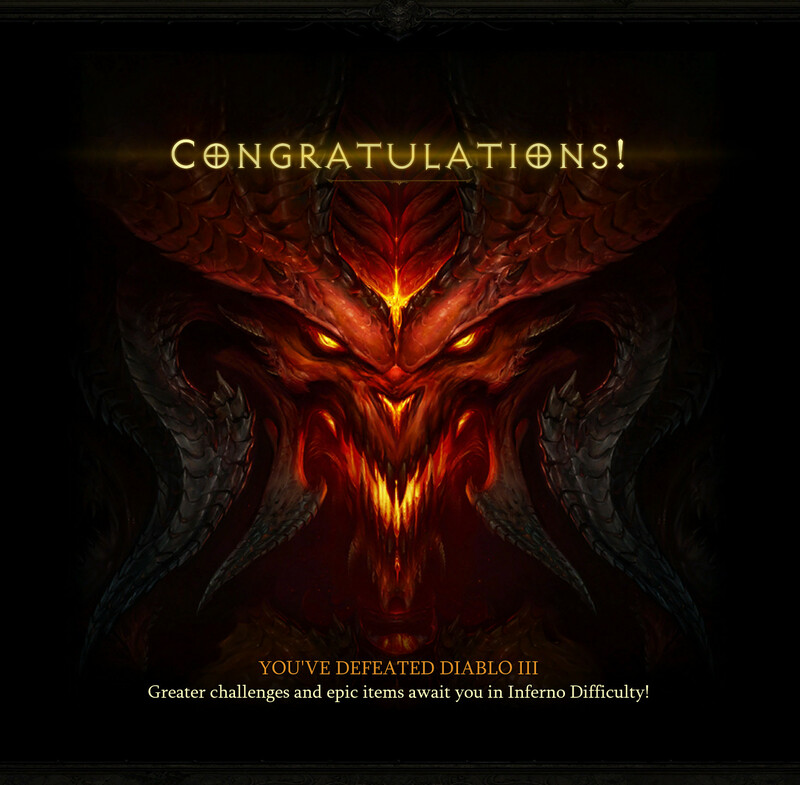 First of all, Diablo 3 definitely had an interesting storyline to it that, at the very least, kept me engaged and wanting to finish the game to see how things ended. That being said, the game ended entirely too soon. And alas, much to every Diablo fan’s dismay, Deckard Cain has finally met his end after a very long and troublesome life in the world of Sanctuary. As for the rest of the games, all of the difficulty levels definitely presented themselves with lots of challenges, as I am still trying to progress through Hell difficulty so that I can, with any luck, beat Inferno. Blizzard did not disappoint with the challenges that moving to a new difficulty presented. The Auction House is also another great feature of the game, as being able to upgrade your equipment without having to spend hours upon hours farming dungeons for the gear just to get an edge is always a welcome bonus for those of us who don’t always have the time to work for our items. Blizzard also implemented a Real Money Auction House,which puts an interesting take on Free to Play games. As we’ve seen in countless games that have gone Free to Play, you often have to Pay to Win. 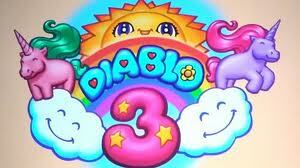 Thankfully, Diablo 3 did not jump on that train. While you can use real money to purchase in game items, the same items can be gotten through the regular Auction House and in regular game play. Another wonderful benefit is that the money stays with the players. Instead of purchasing an item from the parent company of the game, you are purchasing an item that was found by another player, and you are paying them directly for the item you receive. So a definite thumbs up to Blizzard on a job well done with the Real Money Auction House. Now, hopefully, more games can follow Blizzard’s example. Now, I am required to forewarn anyone still reading this, that the following is going to be a SPOILER ALERT containing my absolute most favorite part of the game. 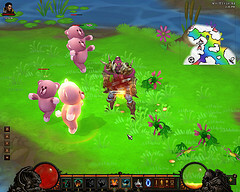 For all of you Diablo 2 fans who were curious as to whether or not there would be a hidden cow level in Diablo 3, I am sorry to tell you, there is no cow level. However, after spending countless hours farming four unique items and the plans for the Staff of Herding, you can find the Ghost of the Cow King. 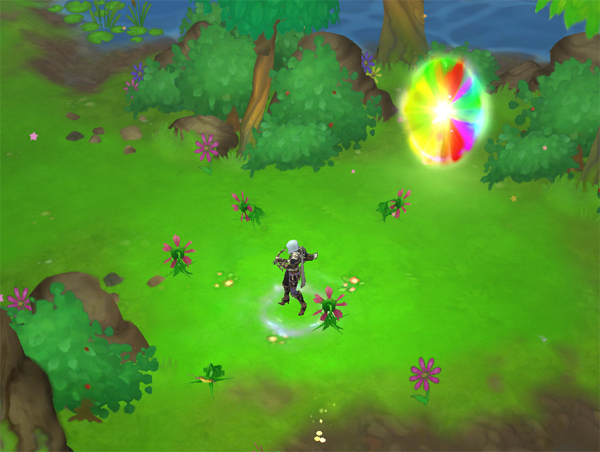 After a short conversation with the fallen Cow King, he will lead you to a place of magical rainbows and happiness. Enter Whimsyshire. The place where dreams come true. 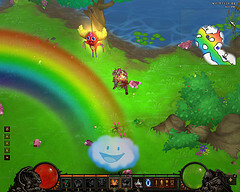 In Whimsyshire, you face many new enemies, all that are the equivalent difficulty to Act 4 monsters on whatever difficulty you are playing on at the time. 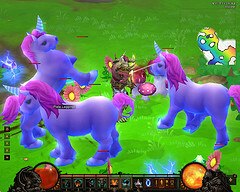 Beware the killer unicorns and less than snuggly teddy bears, as they are not a foe to be taken lightly. Pay close attention though when slaying these foes, as the often die in horribly gory ways, to include decapitation and explosion. Now, if that wasn’t enough, then see if you can handle all that and make it past the rainbows with smiling clouds. If you’ve made it this far, congratulations are in order. 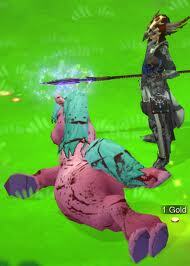 You have just survived the most horrific evil known to the world of Sanctuary.